Today’s design spotlight, “Argyle Reflections” combines a strong argyle pattern and classic fonts with a single, unified color palette and subtle reflections throughout the design. 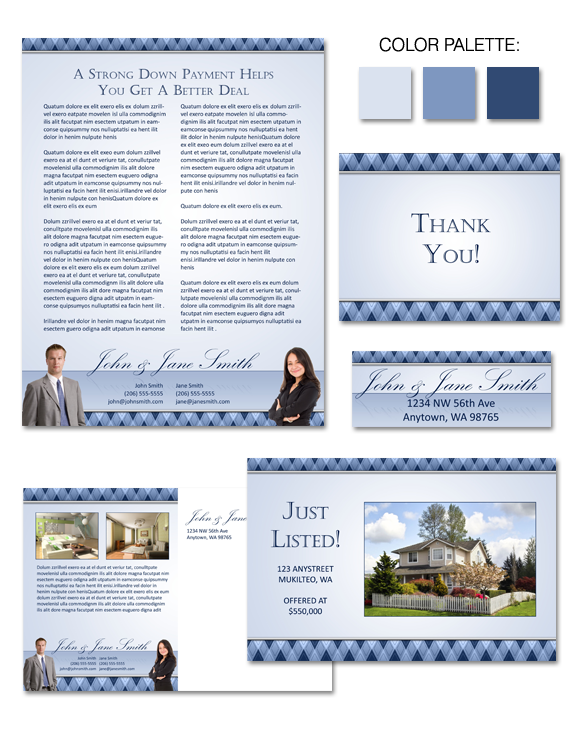 The use of blue, which typically represents knowledge and integrity, is an excellent choice for real estate agents. The crisp, clean design shines the spotlight on your content and highlights your listings. « Time to Wind Down or Time to Wind Up?